We know that funeral planning is neither a simple, nor fun process, but we appreciate you gathering more information as you progress along the journey. An email with a link to our brochure is now in your inbox. You may also view and download the brochure here. 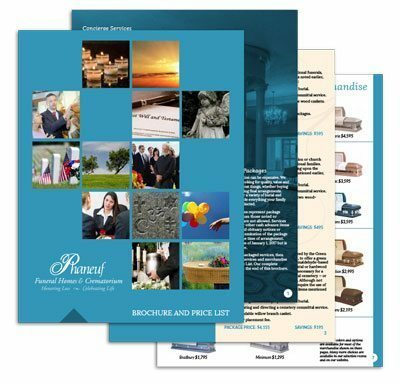 This document includes all of our funeral and cremation service offerings, current pricing, as well as images of funeral and cremation merchandise. If you think of questions as you continue planning, please email Phaneuf’s President, Buddy Phaneuf here, or call (603) 625-5777.